Short Bytes: Fedora 25 Linux distribution has been released by the Fedora project. It comes in three editions Workstation, Server, and the newer Atomic Host. The latest release includes GNOME 3.22, Wayland, Linux Kernel 4.8, and MP3 codec support, along with many other changes and bug fixes. 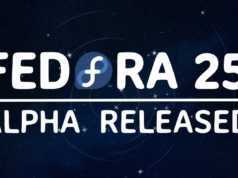 The Fedora Project has just announced the latest release of its Linux distribution Fedora 25. 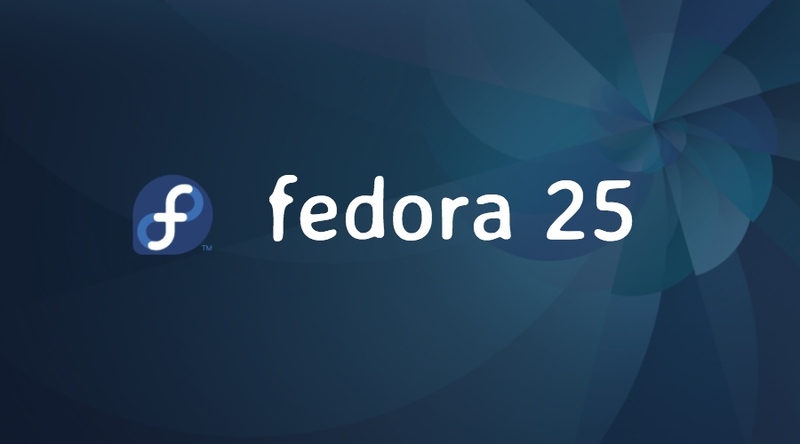 In the new release, Fedora 25 is offered in Workstation, Server, and Atomic Host editions. Fedora 25 Atomic has taken the place of Fedora Cloud edition in this release. In the latest release, Fedora 25 Server now shows SSH keys in the Cockpit dashboard, allowing admins to monitor keys connected to a particular machine. It also adds supports for multi-step authentication methods like Two-factor. A new SELinux Troubleshooter module is available for Cockpit in the new Server edition. Also, the identity management system FreeIPA has been updated to 4.4.x series. The newer version adds support for managing topology graph for large deployments using FreeIPA’s web interface, creating subordinate Certificate Authorities capable of issuing certificated within specified limits, etc. 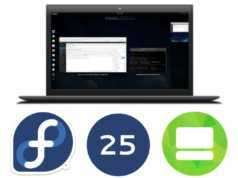 Fedora 25 Atomic is the one to replace the Cloud edition in the Fedora ecosystem. Atomic Host edition helps in creation and deployment of container-based workloads. It can be used on bare metal or put in a virtual machine. Fedora Atomic Host will receive major upgrades with the release of new Fedora versions but it will be put on a two-week release cycle to maintain pace with rapid application development. Talking about Fedora Spins, the KDE, Xfce, and Mate-Compiz spins have also received updates. If you are already running Fedora 24, you can use GNOME Software utility to upgrade to Fedora 25. This process will take around 30 minutes.